We are where we are thanks to our generations of people understanding customer needs and providing them with great service. Throughout that journey our teams have adapted, innovated and diversified while invoking pragmatic and ultimately successful decision making. We believe in empowering management and invite all our people to contribute and perform. In return we wish all our extended team to feel part of and enjoy a rewarding and inclusive working environment where they are fairly treated and feel they have a vested interest in driving themselves and the business forward to consistently great performance. To perform to our best, aim for the summits and enjoy the journey. 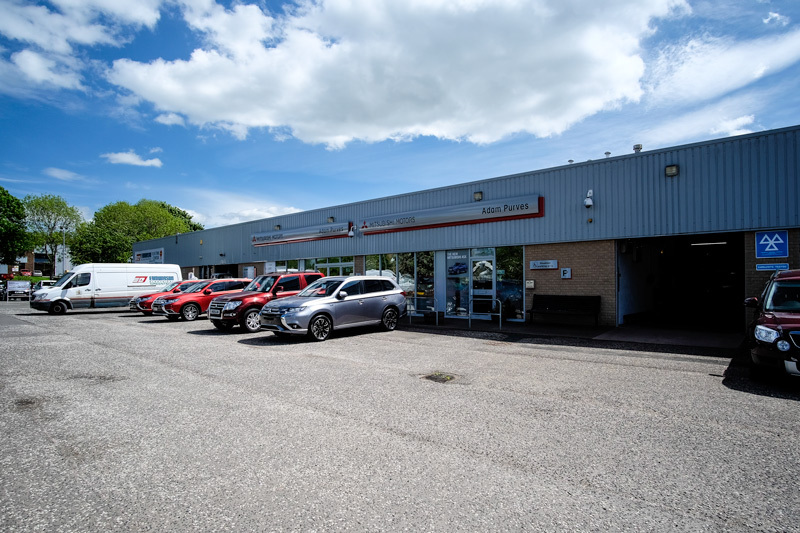 Adam Purves Galashiels Ltd is a well-established local family business with a long history of providing motor, retail and property services in the Scottish Borders – since 1879. 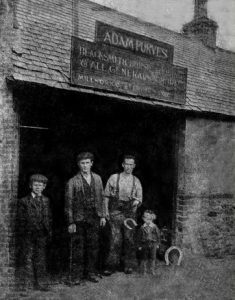 The founder of the company, Adam Purves, was born in 1840 in Gildiesgreen in the Ettrick Valley and to this day the company is in the hands of the Purves family. 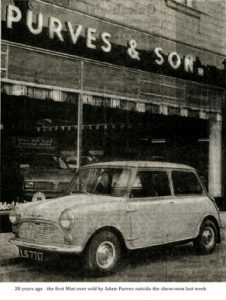 Quickly Adam Purves auto experts became the local destination for buying cars and the car dealership soon expanded into a showroom based in the centre of Galashiels, on Market Street – below is a picture of the first Mini ever sold by Adam Purves in the borders. 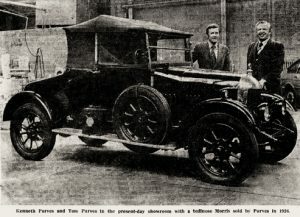 This car is often on display in the National Museum of Scotland in Edinburgh and is part of our collection. 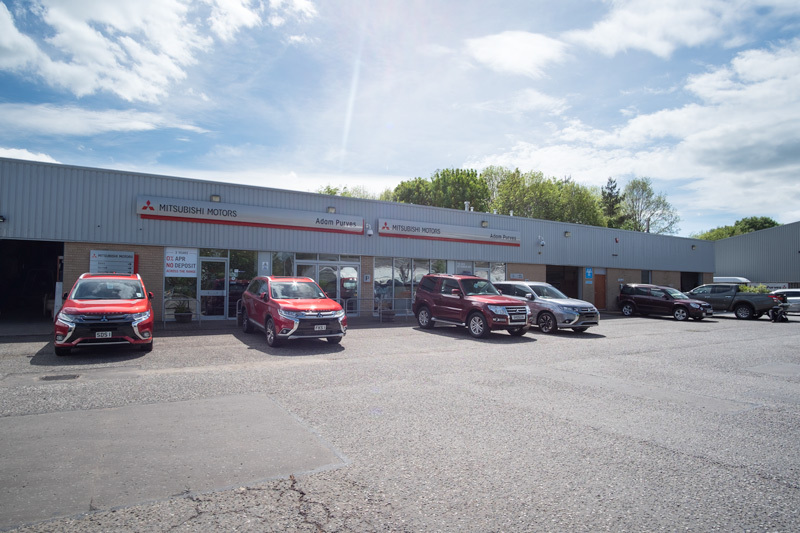 We currently operate a Mitsubishi main dealership in Tweedbank, petrol forecourts in Galashiels and Selkirk and a convenience store in Galashiels. Development of a store for the Co-op in Melrose was recently completed. The business is constantly investing in ways to improve our existing operations and develop new opportunities. 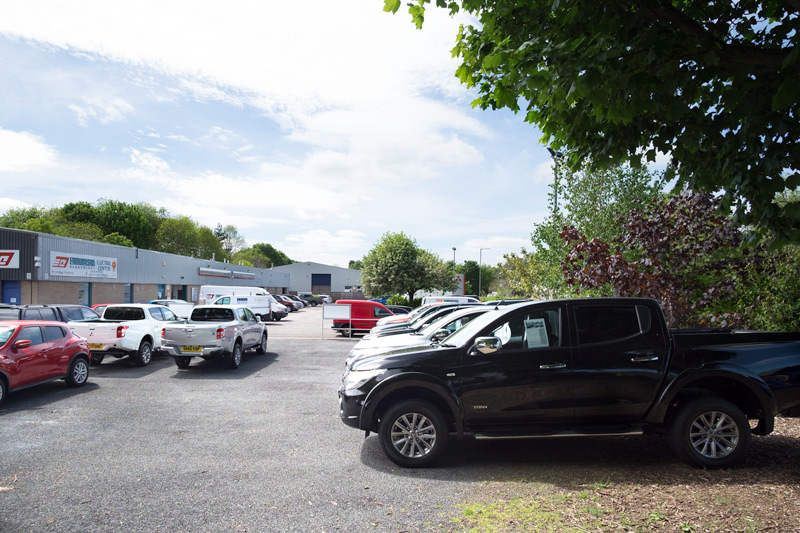 Since 2001 the Mitsubishi main dealership has operated from a purpose built site in Tweedbank, which lies between Galashiels and Melrose. Here we offer sales, service, MOT and parts for all makes of vehicles. We want customers for life so we make selling our vehicles a memorable experience backed up with great after sales. 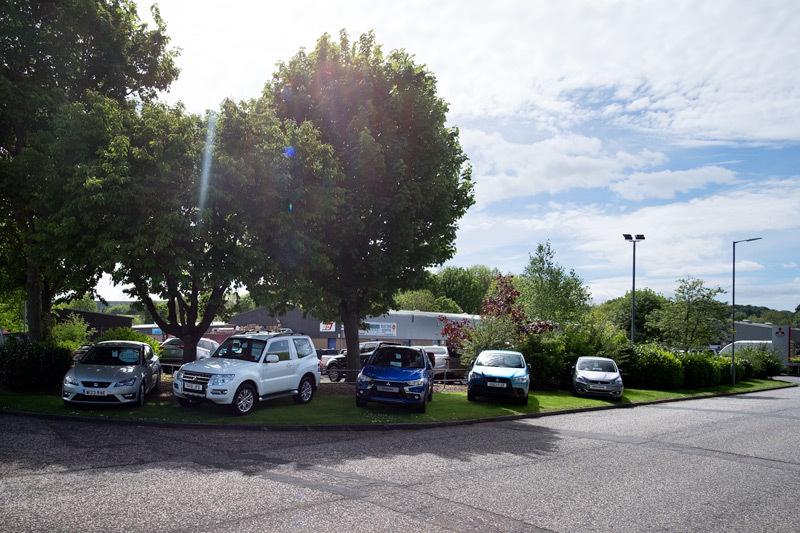 You can find out more about the dealership here. We have been operating sites for Shell for over 20 years and were a Shell Gold Retailer in 2013 and 2014. You can find more information about our 2 sites on our Petrol Forecourts page. One of our most recent developments was the opening of Tweed Road Stores in April 2016, with more sites around the Borders in development. You can find out more on our Retail page. 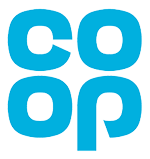 Property has always been a large part of our business, both commercial and residential and most recently retail property development with the opening of the Co-op store in Melrose. Take a look at our Property page to learn more. LOCAL TEAM. WORLD CLASS CUSTOMER SERVICE. Since entering the business world in 1988 I have started, bought, managed, grown, diversified, restructured and sold my own and client businesses – all with varies degrees of success and failure! The origin of the Adam Purves group of companies dates back to 1879 and having been appointed a director in 2000 I am the fifth generation and can confirm I have experienced the extreme highs and lows that come with the territory. The diverse operations include the motor industry, services, retail, and property development. Since taking up the Managing Director role in 2014 considerable restructure and refocus of activities and resources have been and continue to be undertaken. The completion of our Melrose property development with long term retail lease to the Co-op and in the accompanying office space being fully let was a particular recent highlight. 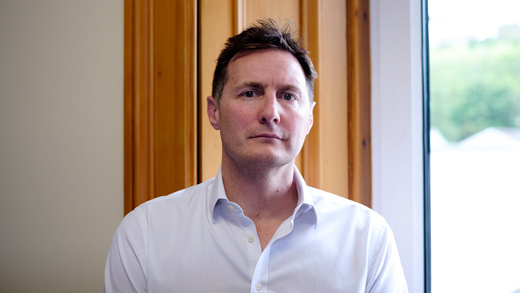 Having sold my chartered accountancy practice to Douglas Home & Co in 2015 I now work closely with them through Andy Purves Ltd delivering business advisory services focused on business growth, strategic development and the associated challenges including raising finance. 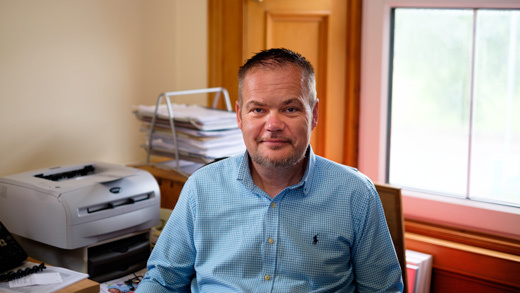 In 2004 I assisted in setting up Tri Capital the Scottish Borders based business angel syndicate and from the outset I have been a proactive investor and the Company Secretary. 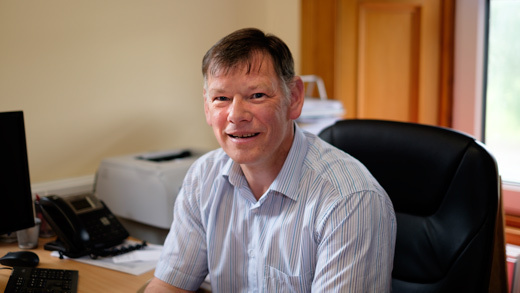 Douglas Home & Co Ltd is a multi discipline firm of tax planners, accountants, business advisors and Wills & Estates specialists with six offices in East Lothian, The Scottish Borders and Northumberland. Andy Purves Ltd is an officially appointed consultant to Business Gateway under the Expert Help scheme. This specifically covers strategic planning for growth and assisting to source associated finance. Business advisory services are delivered through APL. 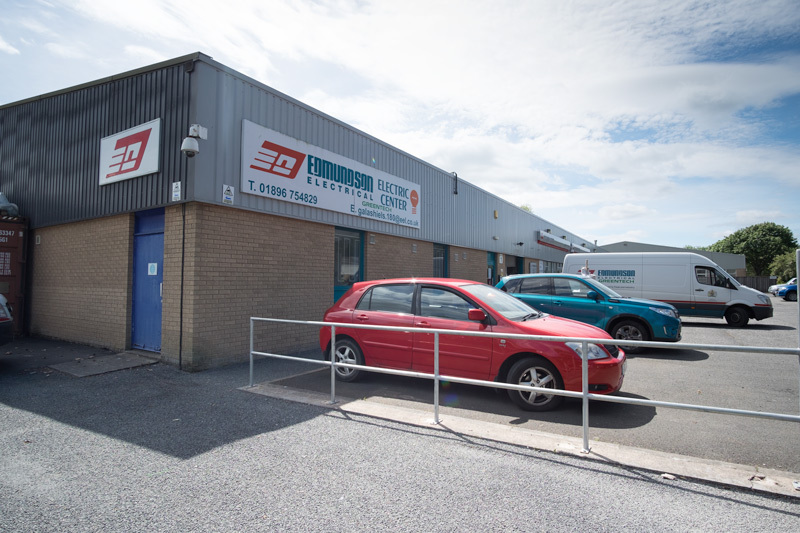 The CA practice traded through APL for many years until the sale to Douglas Home & Co Ltd.
Tri Capital Ltd members have invested over £12m in thirty plus EIS equity deals with total funding along with other syndicates and Scottish Enterprise exceeding £60m. I am married with two children and keen to be involved in family, community and social activities. As an ex rugby player I still enjoy physical activities such as walking, spin, gym and skiing. I love sun and snow holidays and short breaks especially where quality food and wines are involved. A qualified CA with nearly thirty years’ experience in a broad range of businesses, I joined Adam Purves in June 2010, taking over the general management of the company to allow Ian Purves to enjoy his retirement. 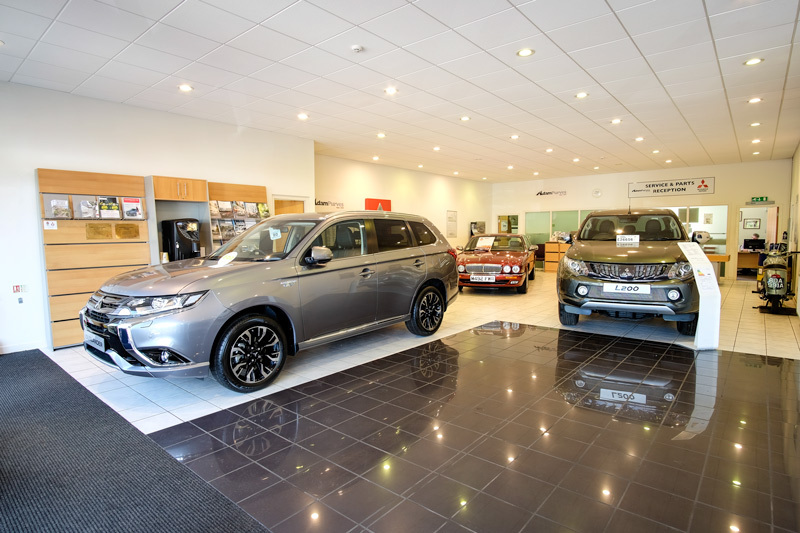 Since then Adam Purves has achieved Gold Retailer status for Operational Excellence with Shell, and has focused its car dealership behind the Mitsubishi brand. 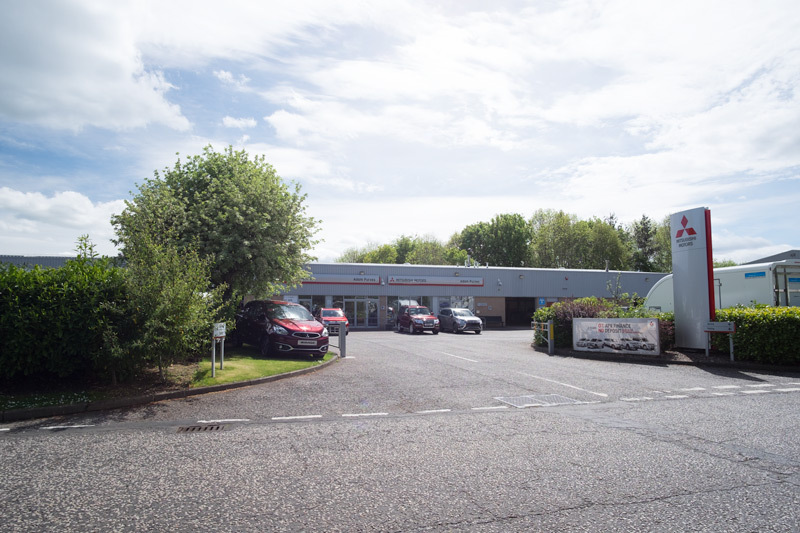 We have reinvested in our property portfolio and undertaken our first major property development, opposite the Melrose Rugby Club, for the Co-operative. Before joining Adam Purves I was a Director at Emtelle – a world leader in the manufacture and supply of duct and fibre solutions. Prior to that I worked in the Finance industry in the Channel Islands. I trained with Grant Thornton in Edinburgh and also worked with KPMG in Guernsey. With my Finance background I bring a strong discipline to this function, and with my experience I help and support the team in their areas of speciality. Having been brought up in the Scottish Borders I have a passion for rugby. I am also a very keen golfer, and pro-actively ran junior golf for ten years at Minto Golf Club. 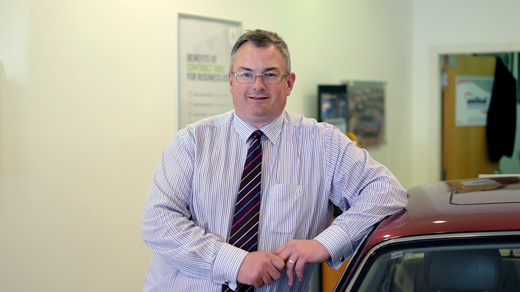 From a very young age motor cars and selling have played a large part in my life and have always been at the forefront of my own personal interests especially within the classic car world. …so I guess we are well qualified to discuss change. 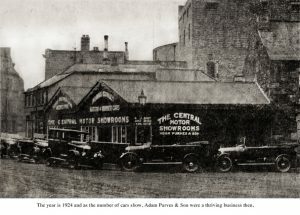 It also has to be said that it is very rare to find a business that has seen all the progressions within the motor industry from the first cars back in the early 1900s to what we see today with electric powered cars. This also includes petrol forecourts as these also play a big part in our business here in the Borders. Over the years myself and the team at Adam Purves have worked alongside Rover, Leyland Daf, Kia, Hyundai and worth a mention is perhaps some not so well known brands, Adly and Sao, probably a conversation for another day! 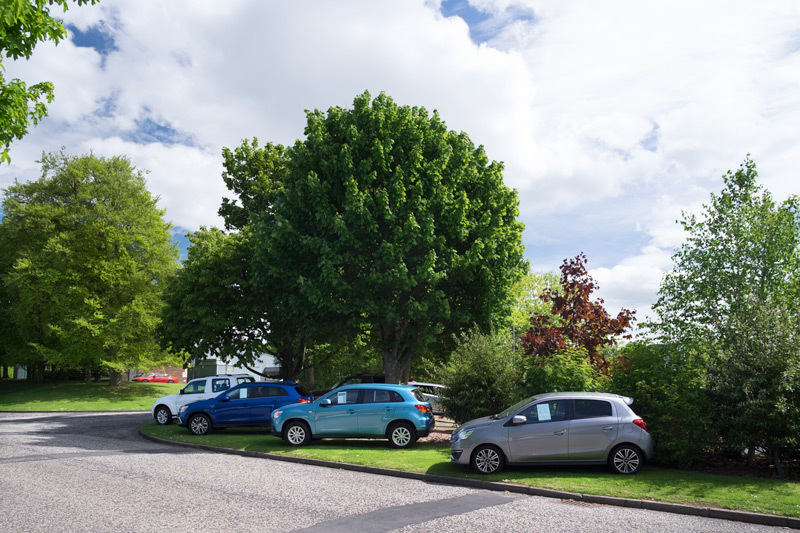 Today I head up our award winning Mitsubishi site here in Tweedbank, prior to development of this site we were located at St Dunstan’s Melrose. 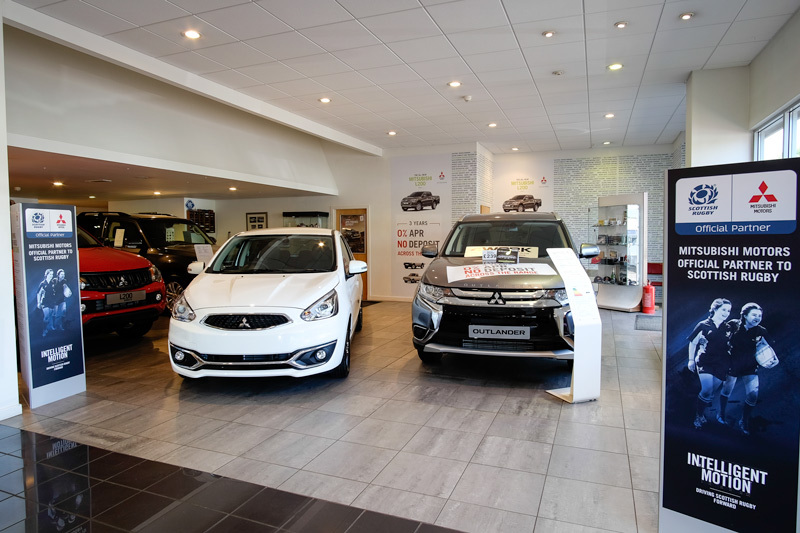 My main focus is the continuation of change whilst focusing on delivering the best customer experience with our main partner Mitsubishi Motors, for this we are regularly selected as a five star dealership by our own customers. More recently I have also created what is known as Adam Purves Classics which brings added challenges as searching for prime stock takes time whilst seeking out the hidden gems that are rarely offered for sale. 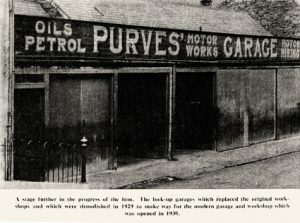 As a self confessed classic car nut I spend a good bit of my spare time working closely with the BVAC and Selkirk Car Rally as well as attending many car shows from the south to as a far north as Shetland, our own collection is interesting and diverse so please call me so to arrange a viewing. All my working life has consisted of customer facing roles. From the very beginning I was employed in the hospitality trade and then progressed into the retail industry. My working life has seen me travel from North to South where I was employed as a Bar manager for Whitbread brewery based in Maidstone Kent. Family commitments brought me back home to Scotland where I established a successful parcel delivery service. To regain some work life balance, I joined Adam Purves back in 2007. My retail understanding was such that I swiftly progressed to Forecourt Manager, being responsible for the day to day running of 14 Petrol Forecourts. Since my appointment I have been instrumental in the company achieving Gold retailer status for Shell in 2 consecutive years. Using our retail expertise, we identified an opportunity to re-establish a former post office in Galashiels to a convenience store. This opportunity was turned into reality in one month with the business having gone from strength to strength and is now the beating heart of the community. With my understanding of people and their attributes I have built a strong and devoted team who believe in delivering great customer service. My family are my backbone and to which have given me the drive to succeed.